The definitive reference book on the way we live now, The State of the World Atlas is a magnificent visual survey of current events and global trends. This unique book, a milestone of graphic reporting, has become a trade reference classic since its first publication in the 1970s. Completely revised and updated, the new 9th edition of this groundbreaking ‘atlas with attitude‘ keeps pace with the speed of change, using over 100 thematic world maps. Look inside book here. Authored by leading international peace researcher Dan Smith OBE, it has sold over 700,000 copies in different languages around the world, offering its sharp analysis and informed comment on the most challenging issues facing the world today. Widely praised for its ingenious design and statistically meticulous presentation of trends,The State of the World Atlas graphically analyses every key indicator and vital statistic of modern life, from wealth and power, war and peace through to rights, health and the environment . These are the bad dreams of the modern world, given color and shape and submitted to a grid that can be grasped instantaneously. Outspoken cataloguing of global oppressions and inequities, painstakingly sourced. Packed with fascinating facts and figures on everything from the international drugs industry to climate change. The book is an object lesson in how to enhance understanding without dumbing down. Indispensable. An indispensable survey of current events and social trends. 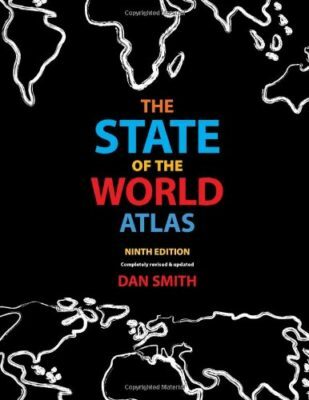 Nothing else to compare with this Atlas, its wide-ranging content and striking maps and charts makes it a must-have for any concerned citizen. A political reference book which manages to translate hard, boring statistics into often shocking visual statements... required reading. Very lively and beautifully produced – one of the definite must-buys of books reviewed this year. A striking new approach to cartography. Unique and uniquely beautiful... A single map here tells us more about the world today than a dozen abstracts or scholarly tomes. 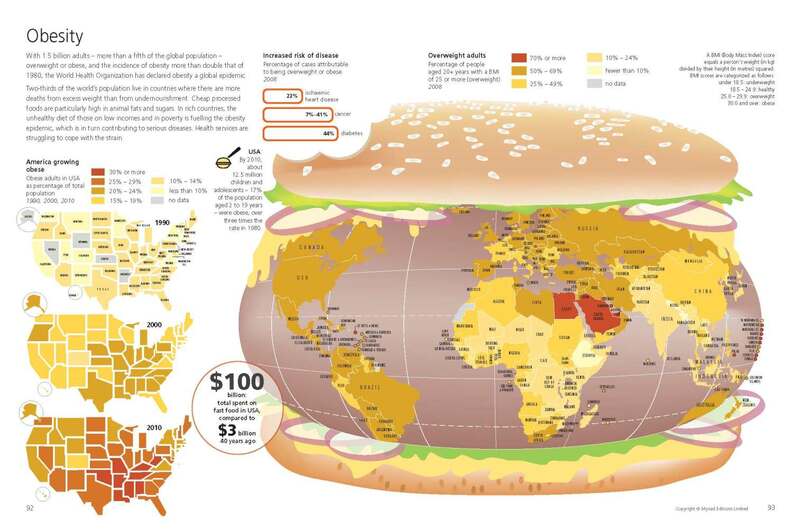 The State of the World Atlas is something else - an occasion of wit and an act of subversion... These are the bad dreams of the modern world, given color and shape and submitted to a grid that can be grasped instantaneously. This is a fantastic guide to all those involved in foreign policy. 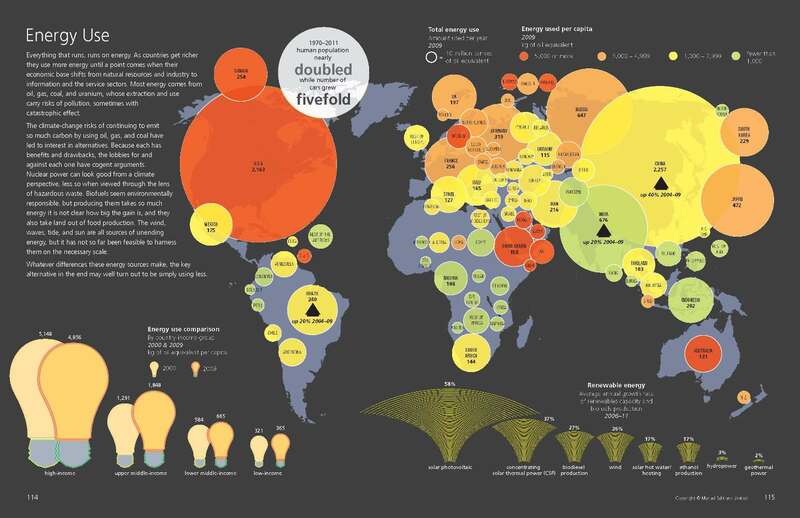 Its clear maps and compelling graphics show the scale of the challenges we face. The book is an object lesson in how to enhance understanding without dumbing down. Indispensable. An indispensable survey of current events and social trends that makes understanding the vast array of data both possible and pleasurable. Buy this book! Now in its 9th edition and completely revised and updated, the indispensible guide to the state of the world. All the key indicators and global trends are included from War to Health to Finance and Waste. Without the use of maps, the information here would fill three volumes at least, thanks to Dan Smith we can easily see everything from the horrendous pile of disposable nappies in the USA (3,266,000 tonnes) to the fact that there are over 4 million stateless people in the world. The use of maps in every spread brings clarity and ease of reference. There really is nothing else to compare with this Atlas, its wide-ranging content and striking maps and charts makes it a must-have for any concerned citizen. A striking new approach to cartography... no-one wishing to keep a grip on the reality of the world should be without these books.